These are the guys to see about maintaining your local singletrack mountain bike trails in British Columbia, Canada. If you have the resources, find one in your local area and offer to help out. Donations are nice, and all bike clubs will accept them, but what they really need more of are motivated individuals to assist in the hand work. If you got two hands, a head, and love to use the trails in your local area, consider helping out. I’m sure your local bike club will be happy to get you started. British Columbia Cycling Coalition. The BCCC represents the interests of cyclists provincially and to secure their recognition in policy and programs affecting cycling for transportation, recreation and tourism. The BCCC is a registered Non-Profit Society whose members are individuals and cycling organizations representing thousands of cyclists throughout the province. Cariboo Mountain Bike Consortium. The Consortium initiative is attempting to transform the existing mountain bike asset into a more prominent economic driver that enhances the competitiveness of the Cariboo-Chilcotin during the current economic transition being driven by the declining resource sector. In 2010 the Cariboo Chilcotin Beetle Action Coalition and Northern Development Trust supported the first phase of the Cariboo Mountain Bike Consortium Initiative and incorporated its goals into its regional transition plans. The Consortium’s primary goal is to grow the economic impact of the sector by 25% over three years through a series or projects, marketing and awareness. Columbia Valley Cycling Society, Invermere. Since inception in 2006, the dedicated volunteers of the CVCS have worked to advance the sport of cycling in the Columbia Valley, British Columbia. Fernie Mountain Bike Club, Fernie. The Fernie Mountain Bike Clubs mission is to ensure the long term development and maintenance of a valuable community asset to be enjoyed by all styles and levels of riders. Fernie Trail Alliance, Fernie. A joint advocacy effort between the Fernie Mountain Bike Club, and the Fernie Trails and Ski Touring Club to create, promote, and maintain sustainable trails for non-motorized use in the Elk Valley. Fraser Valley Mountain Bikers Association, Abbotsford. The FVMBA is registered non-profit, volunteer-run organization whose primary goal is to maintain and develop the network of mountain biking trails in the Fraser Valley. We support local trail builders and provide a public face for the mountain bike ‘community’, a community that is diverse and enthusiatic about a ‘hobby’ that, for many, is a way of life. Greater Victoria Cycling Coalition, Victoria. The Greater Victoria Cycling Coalition-established in 1991-is a non-profit organization that advocates on behalf of cyclists in the region, and has played an integral role in the creation of regional trails, bicycle infrastructure and facilities, laws that protect cyclists, as well as programs that promote cycling and educate cyclists. Nelson Cycling Club, Nelson. The Nelson Cycling Club is a voice for cycling and nonmotorized trail use interests in the Nelson area. We are a volunteers non profit society that works to improve and maintain trails and trail access, and hosts fun, recreational events. Our goal is to promote and develop off road cycling opportunities and non-motorized trail use in a socially and environmentally responsible manner for the benefit of Nelson area residents and visitors. North Okanagan Cycling Society, Vernon. N.O.C.S. is about riding, trail maintenance and development, promoting safety and trail etiquette, and environmental responsibility. Penticton & Area Cycling Club, Penticton. Road and mountain biking group rides and trail stewardship. Smithers Mountain Bike Club, Smithers. 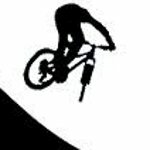 “The Smithers Mountain Bike Association (SMBA) is a registered non-profit society that has been incorporated to serve the interests and needs of the mountain bike community in Smithers.? Squamish Off-Road Cycling Association, Squamish. The Squamish Off-Road Cycling Association is a mountain bike club with a focus on creating fun events for our members which include Toonie Races, group rides, trail advocacy, sustainability and maintenance. Surrey Off-Road Cycling Enthusiasts Society, Surrey. S.O.R.C.E. advocates for designation and development of recreational cycling areas, including South Surrey, Invergarry, Port Kells and Latimer Lake bike parks. Parks across Surrey currently offer a variety of riding experiences including beginner, cross country single track, technical trials, structure playgrounds and dirt jumping. Whistler Off-Road Cycling Association, Whistler. By working with government, landowners and developers, W.O.R.C.A. continues to ensure mountain bike trail access while providing a wide range of other services to the mountain bike community. Williams Lake Cycling Club, Williams Lake. The purpose of the Williams Lake Cycling Club is to maintain, enhance and develop a sustainable mountain bike trail network that guarantees perpetuity and diversity to promote fun for bike riders of all age’s abilities and interests. This will be accomplished through mutual cooperation between club, government, industry and other land users adhering to the current best practice standards.